Wakeman Army Hospital in its heyday, serving WWII and Korean Wars. Army Hospital patients flown to Atterbury Army Air Base came here for treatment and recovery. Many troops were discharged from Camp Atterbury. 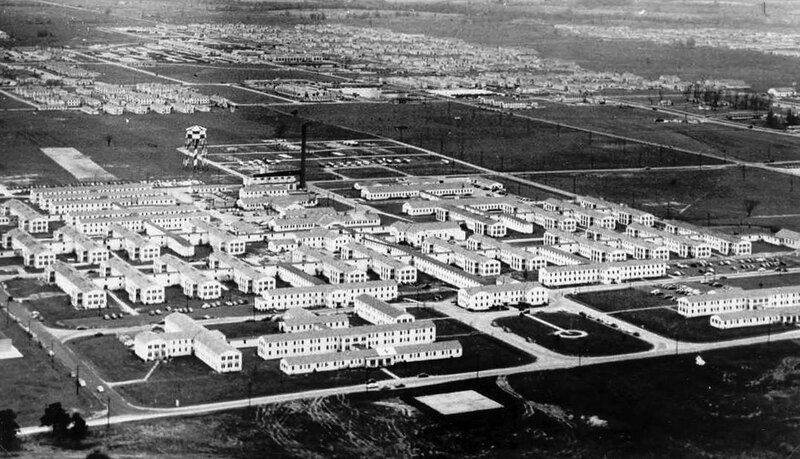 Camp Atterbury and Atterbury Army Air Field were both constructed in 1942 and named after General Atterbury. 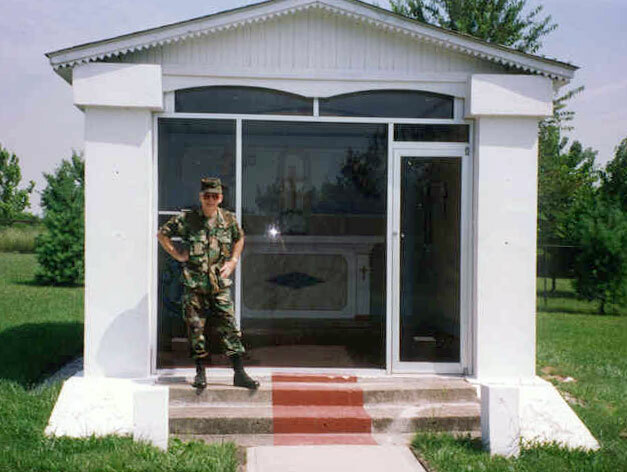 The Camp Atterbury Memorial and outdoor museum. The Camp Atterbury "Stone" sits on the crest of the hill as you enter the "Main Post" section of the Army Post (see middle photo, below). This stone can be seen on Hospital Road after you enter Camp Atterbury from Highway 31. 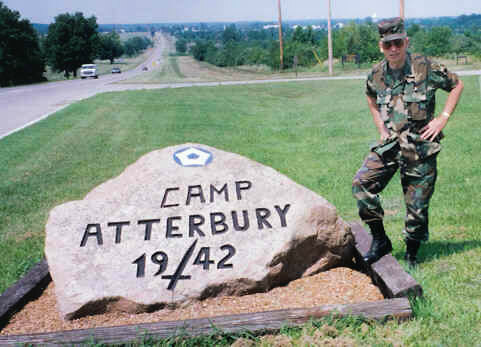 Museum volunteer Gordon Lake is shown standing next to the Camp Atterbury "Stone" prior to his retirement from the military. The Camp Atterbury stone was carved by Libero Puccini, a former Italian POW interned at the Camp Atterbury WWII POW Camp for German and Italian prisoners of war. Mr. Puccini returned to the US after the war and became a citizen. His son, Lt. 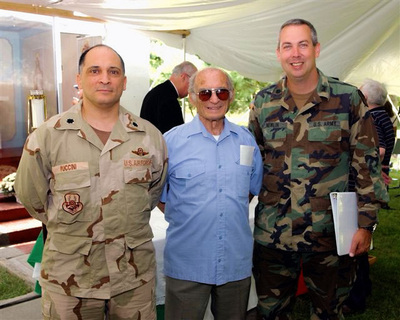 Colonel Marcus Puccini, serves in the US Air Force Reserve as a C-130 pilot and served in Iraq and Afghanistan. "The Camp Atterbury Museum had reopened in its new home in the Camp Atterbury Welcome Center on Hospital Road in 2012. The Welcome Center is on the right side of Hospital Road, located just before Durbin Street. Admission to the museum is free and the museum can accommodate individuals as well as large groups, tours, student groups, and the physically disabled. 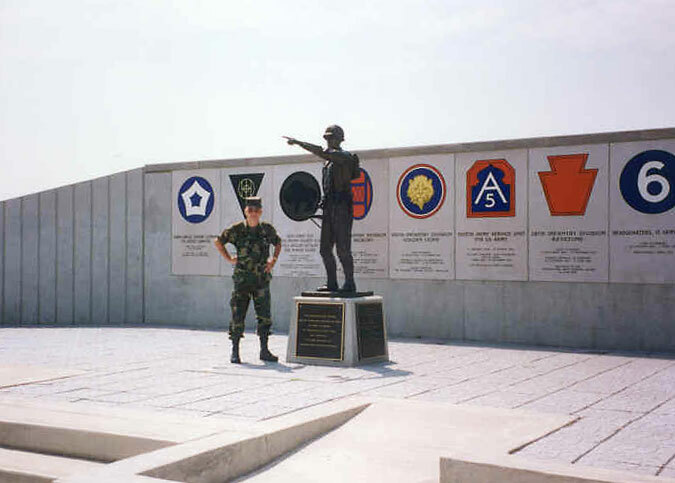 Access to Camp Atterbury is not required to visit the Camp Atterbury Museum and the Outdoor Veterans Memorial. The museum is set up on a historical timeline that takes the visitor on a journey through pre-acquisition, construction, activation, unit training and finally, Camp Atterbury as it is today. 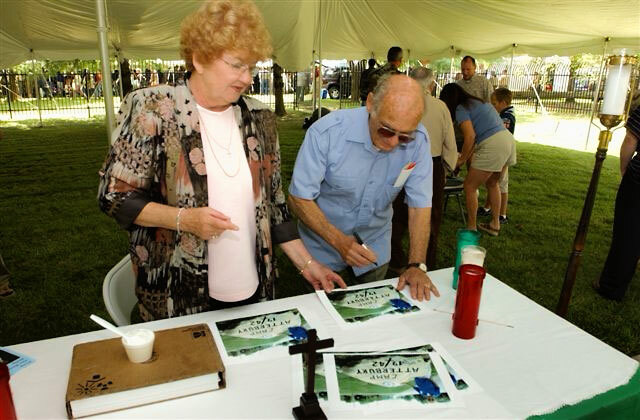 Camp Atterbury's rich history is on display in artifacts, papers, and photographs from the past seventy years and the museum is a delight to history buffs of all ages"